This video presentation was recorded before USDA announced a change in its policy for reporting hog numbers. The original Aug. 1, 2018 reporting date has been replaced by a date range starting on July 15, 2018 through August 15, 2018. Producers who filed applications before the change was made will have an opportunity to revise the number of reported hogs owned. Please confer with your local Farm Service Agency office. It is approximately 50-minutes long. 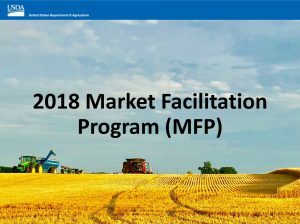 If you’d like a quicker review, below the video you can click to open a pdf of slides provided by USDA-FSA.